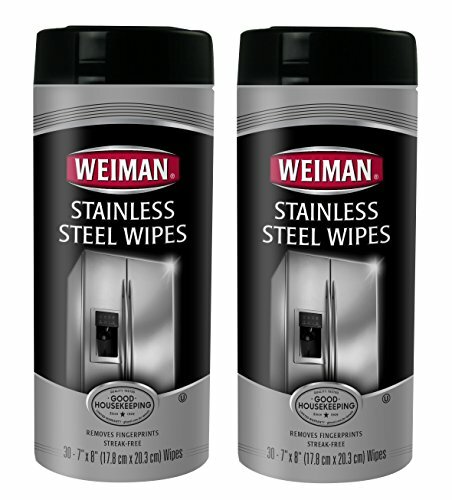 Weiman Stainless Steel Wipes are a convenient way to quickly and easily clean, shine and protect your stainless steel appliances. The wipes are designed to resist fingerprints, water marks and grease while repelling dust and dirt. 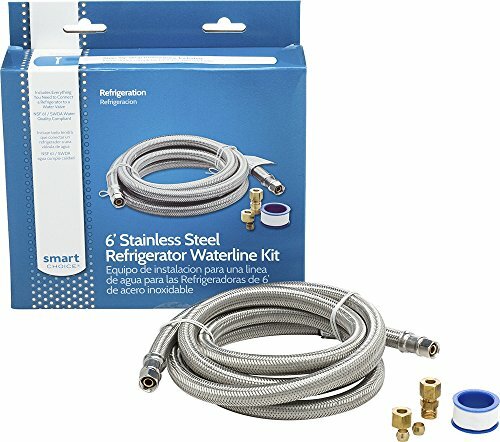 Connect your refrigerator to the waterline with this stainless-steel kit for a quick and reliable setup. 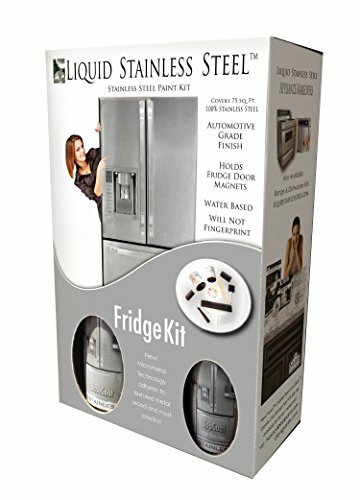 Includes everything needed to connect your refrigerator to the water valve. 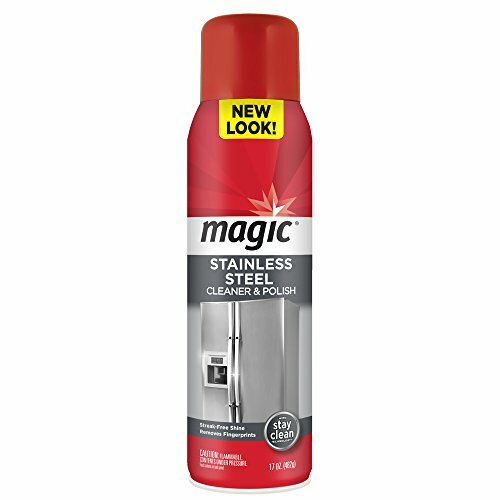 Magic stainless steel cleaner with stay clean technology makes cleaning stainless steel fast and easy by creating a transparent, protective coating to repel dirt, water and prevent the appearance of fingerprints. Using magic stainless steel cleaner regularly will keep surfaces shiny, clean and looking like new longer. This 15 ft. 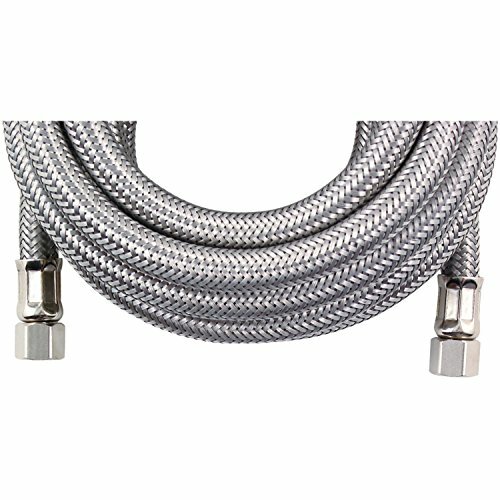 Braided Stainless Steel Ice Maker Connector from Certified Appliance Accessories makes ice maker connections a breeze. It has 1/4 in. FCM connectors on each end and is UPC, NSF/ANSI 61 and CSA certified. Certified Appliance Accessories(R) recommends installation of this product be performed by a licensed professional. 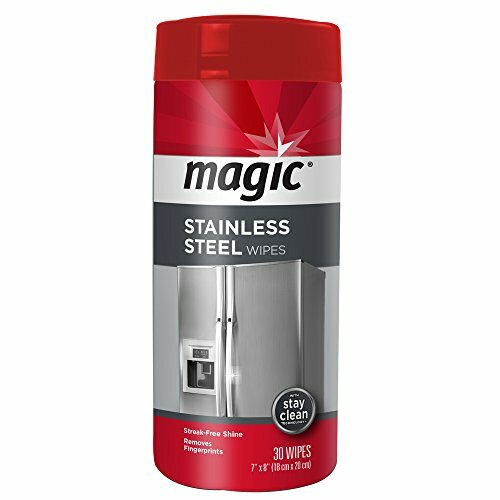 The convenience of Magic Stainless Steel Wipes means it's easier than ever for you to achieve a stunning shine. Plus, our Stay Clean Technology means your stainless will resist fingerprints and smudges after you're done cleaning. 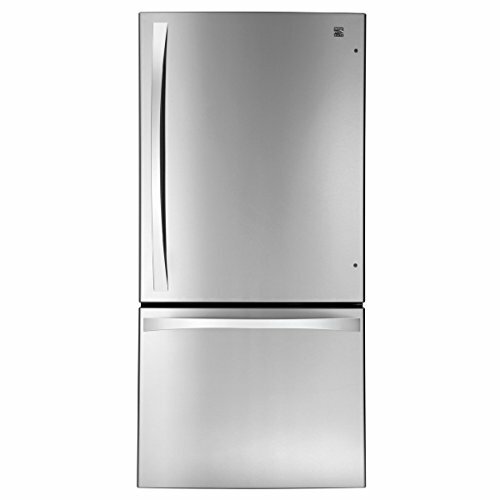 The Kenmore Elite 24.1 cubic foot Bottom-Freezer Refrigerator is designed to give you plenty of versatile storage space to keep your foods fresher, longer. Stash snacks, tasty treats and delicious leftovers alongside fresh produce and household staples. Adjustable shelving door storage gives you plenty of food storage flexibility, even if you come home with way more groceries than you anticipated. Multi-air flow technology works to keep cool fresh air flowing throughout the fridge while the humidity-controlled crisper drawers keep produce crisp and bright. A full-width pantry drawer is perfect for pies, pizzas and party trays while the adjustable glass shelves let you customize how you use the interior capacity of the fridge. Gallon storage bins and a Tilt-N-Store door bin accommodate wide and tall items with ease. No more puzzling out how to fit in milk, wine or juice next to the salad dressing and soda. Keep pre-made meals at-the-ready and treats close at hand in the 2-tier pull-out bottom freezer. No more digging through piles of peas for a Friday night pizza. 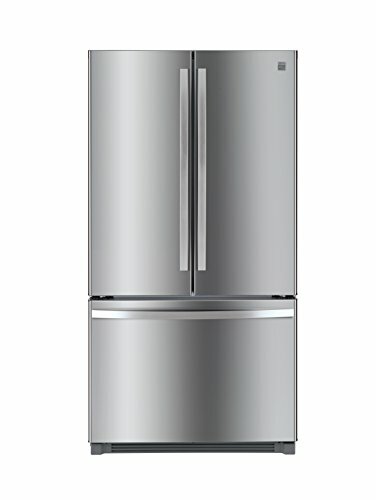 A built-in icemaker in the bottom freezer keeps fresh ice at your fingertips. Update the finish of your old refrigerator to stainless steel in four hours with a new roll on paint made with 100-Percent stainless steel. How To Install Amazing Faux Stainless Film. GREAT 4 APARTMENTS! Watch as we install Faux Stainless Steel in an apartment. 30 Min Installation/approximate cost $75.00 and EzFaux Décor LLC Ships FREE. How to clean stainless steel appliances. This is the easiest way ever to remove and prevent fingerprints and watermarks on stainless steel appliances using coconut oil as a barrier. All natural! Lasts a long time! 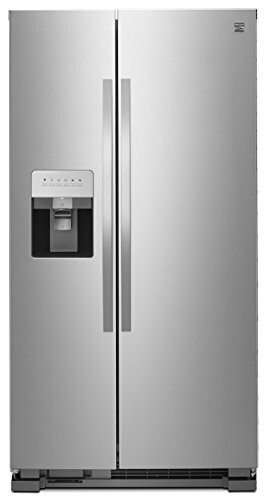 Compare prices on Refrigerators Stainless Steel at ShoppinGent.com – use promo codes and coupons for best offers and deals. Start smart buying with ShoppinGent.com right now and choose your golden price on every purchase.